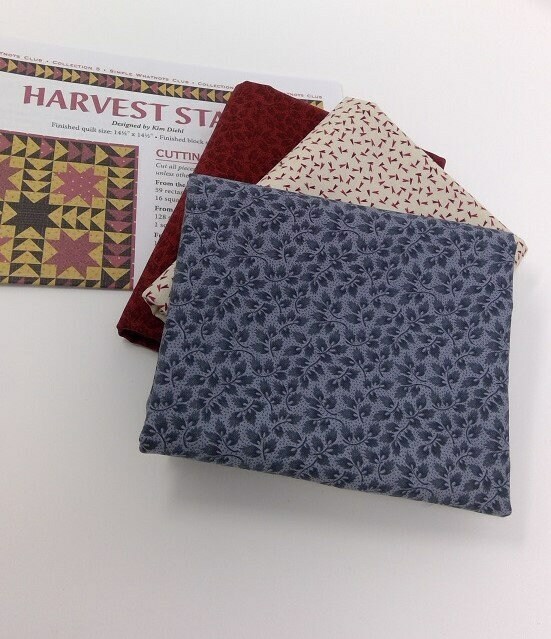 I put this little quilt kit together after Marg suggested I make a kit from Kim Diehl's Harvest Stars Pattern but using patriotic fabric. 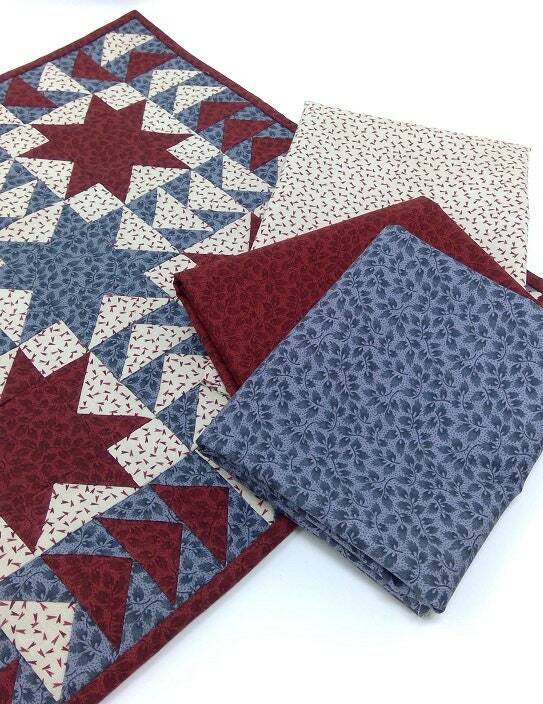 I stayed with Henry Glass Fabrics and chose Spirit of America Collection by Stacy West of Buttermilk Basin. 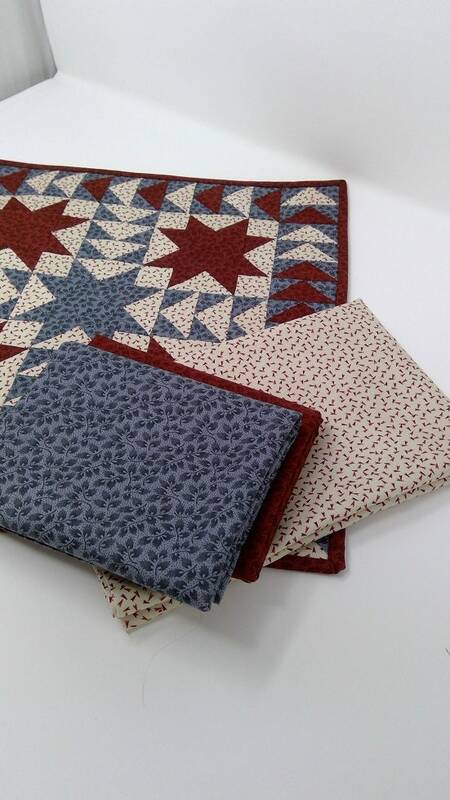 In my sample, which I made in a hurry, (and had fun), I used one red, one blue and one white. 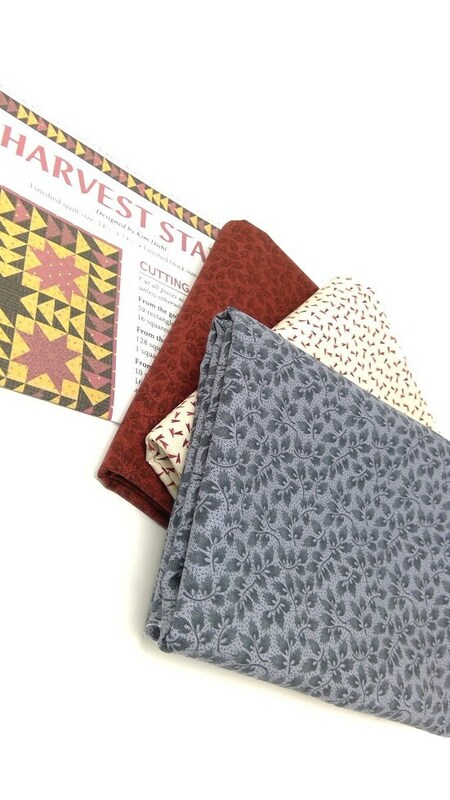 The kit contains 1/2 half yard of each of these fabrics. 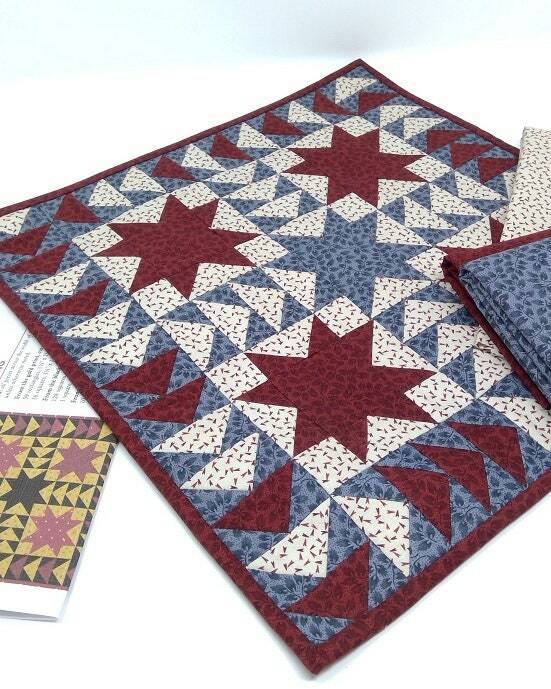 There was enough fabric to make this little quilt, back it and bind it. I sewed my leftover blue together for the back. 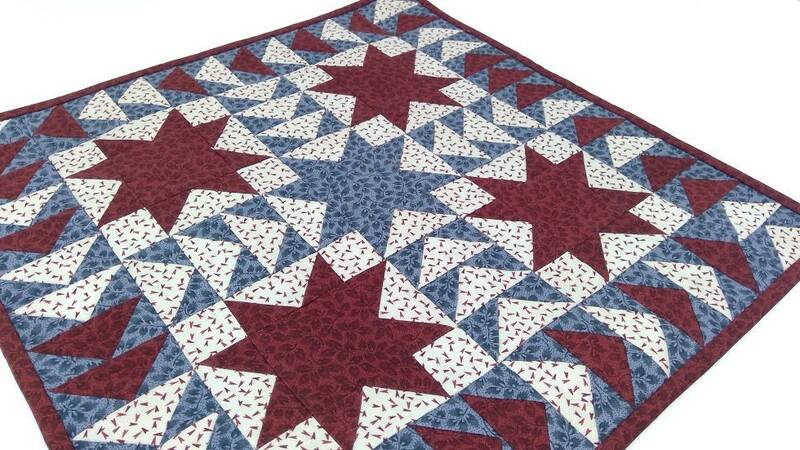 I didn't quilt this, I just ironed a fusible batting and pressed hard. The project lies nice and flat and it's ready for one of my side tables in my living room. 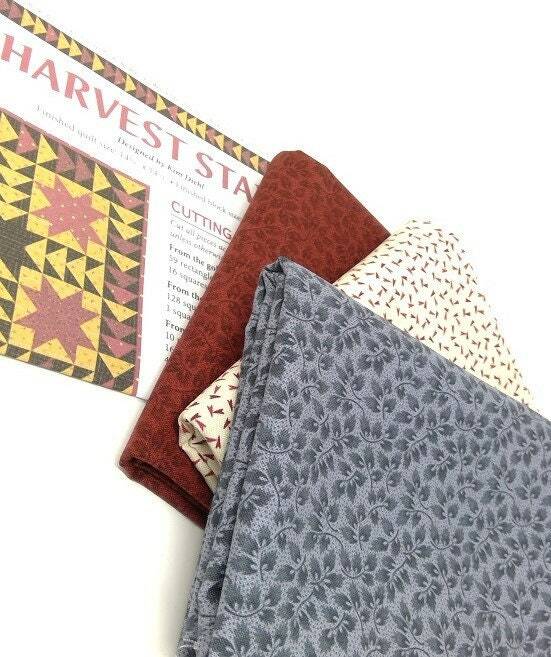 The pattern is also included in this kit. This can easily be completed by a confident beginner. Finished size 14.5" x 14.5"